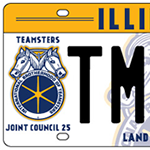 Order Your Illinois Teamster License Plates! For the first time, Illinois drivers can purchase Teamster specialty license plates for registered vehicles. Plates can be purchased for all passenger vehicles, B-trucks and vans weighing 8,000 pounds or less. Local 727 began informing the public of the safety risks associated with Jewel-Osco’s chronic understaffing amid ever-increasing pharmacist workloads by informational picketing outside Chicago-area stores. Throughout a full-day of new contract negotiations on May 26, management for CVS altogether refused to budge from the radical concessions its demanding of Teamster-represented pharmacists. 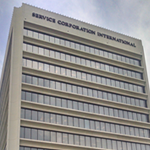 Teamster representatives on May 11 called out funeral industry giant Service Corporation International’s poor business practices and called on its Board to take action during SCI’s shareholders meeting in Houston. Since Teamsters Local 727 representatives began informing the public of the safety risks associated with CVS management’s mistreatment of overworked and understaffed Chicago-area pharmacists, the union has received an outpouring of support from pharmacists and CVS customers from across the country.